Visitors to Blue Planet Aquarium, Cheshire Oaks can enjoy underwater encounters with a scuba-diving Santa Claus over the festive period. The sub-aquatic Saint Nick is sharing the 3.8 million litre display with three-metre-long sand tiger sharks, lemon sharks, giant stingrays and more than 1200 other tropical fish. Blue Planet Aquarium’s Andy Hygate said: “Our shark diving talks and feeding displays in the giant ocean display are always one of the most popular parts of the visit for many people. 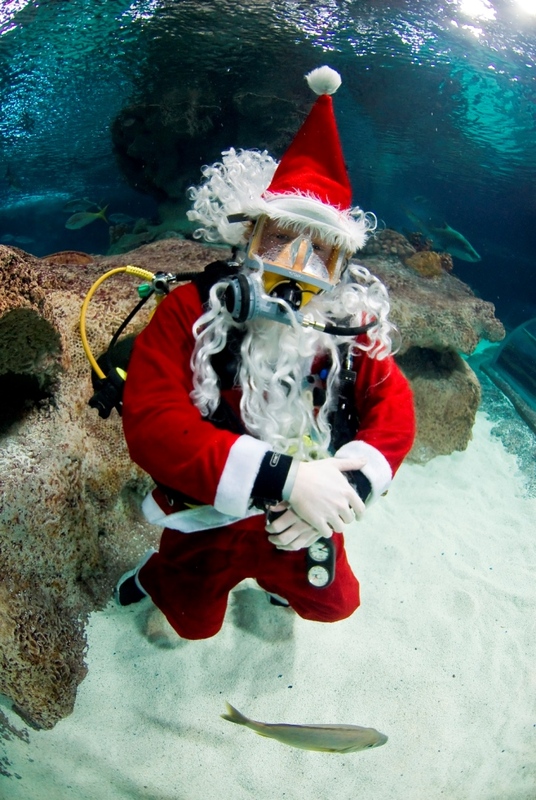 Diving Santa will be taking the plunge every weekend from Saturday, November 29th during the aquarium’s regular dive shows and will then be diving daily from December 20th – 24th. To find out more about Diving Santa and all the other Christmas activities at Blue Planet Aquarium call 0151 357 8804.